Kobra Hybrid has the latest development in Power Management Systems. The exclusive Kobra technology allows the shredder to operate with stored energy and auto shut-off from the mains when shredding is complete, meaning zero electrical consumption. 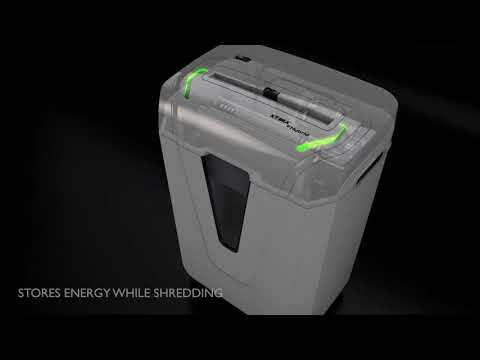 Hybrid Power Management System allows up to 15% of shredding through the stored energy. Features a 24 hour continuous duty motor that offers unparalleled performance along with an attractive design and LED technology. Features carbon hardened steel cutting knives that accept staples and metal clips, auto start/stop and safety stop that automatically stops during emptying of the 30 litre waste bin. There is no need for plastic waste bags making this machine even more eco-friendly. The use of a P-4 shredder such as the Hybrid will aid your GDPR compliance.